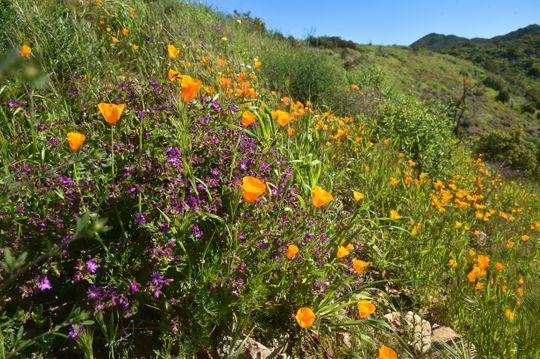 This last year, California went from the driest rainfall since 2006 to the wettest rainfall in over a decade. 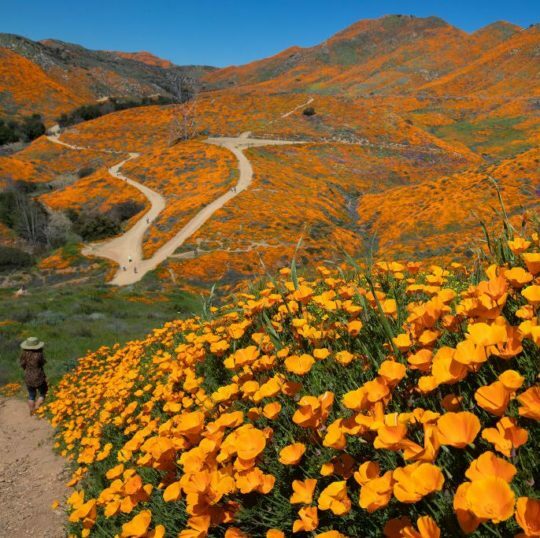 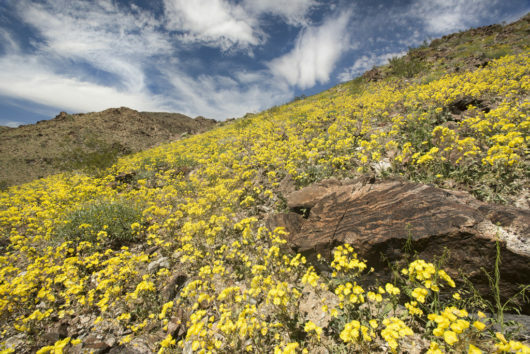 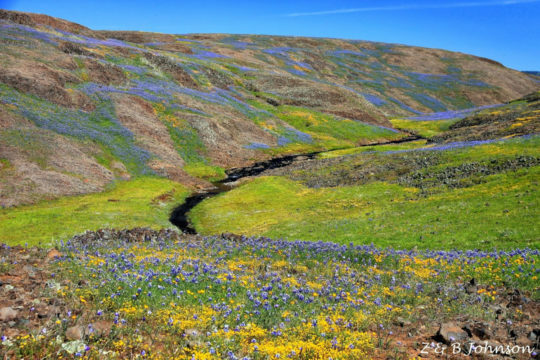 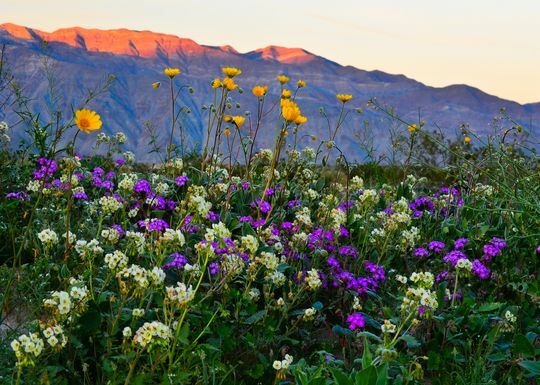 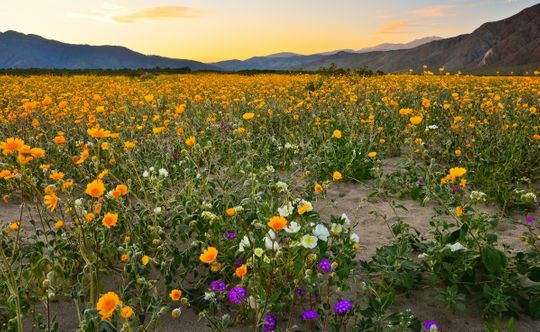 With all this moisture and snowy deluge comes the added benefit of bright-hued flowers painting the sands of the California deserts including areas like Anza-Borrego Desert State Park in eastern San Diego County, which happened to have the largest bloom in two decades. 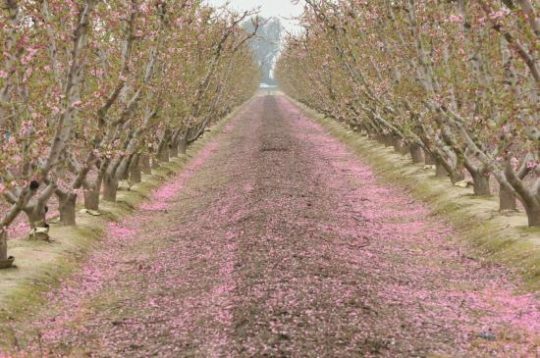 So what makes a bloom “super”? 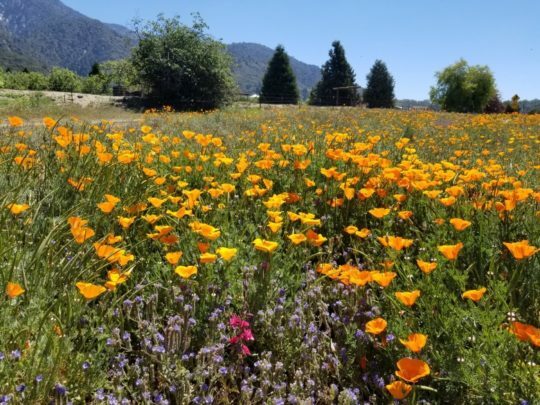 “It happens when all the weather conditions are just right, and that means substantial rainfall in late fall and early winter, cool daytime temperatures, and cold nights,“ says California nature guide author Ann Marie Brown, who adds that such blooms tend to happen once a decade. 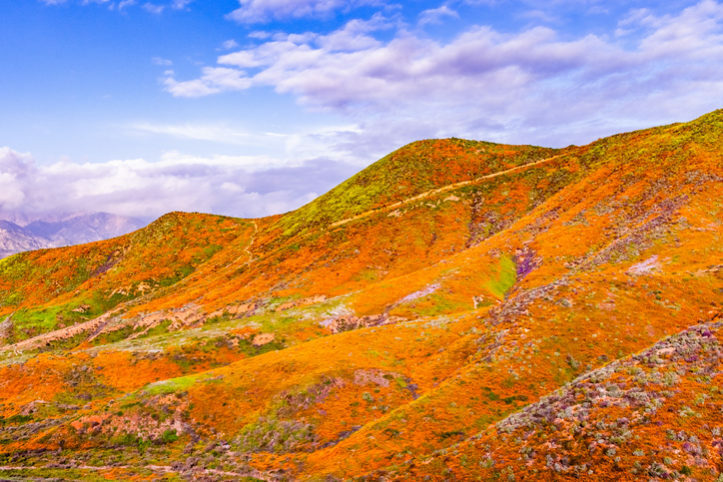 We offer you a list of the top places to get see the final show of this breathtaking flower viewing.